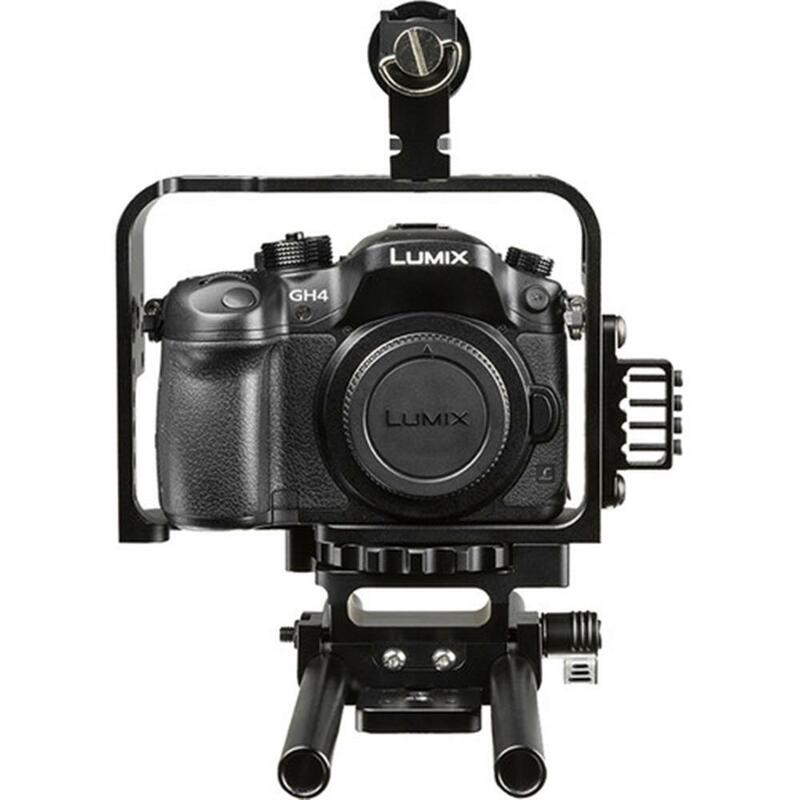 The ELE-GH4-C is a smart, ready-to-use cage solution for the Panasonic GH4. The sleek design eliminates all of your frustrations with a quick, no-tool-required assembly and easy access to all of your ports and buttons. 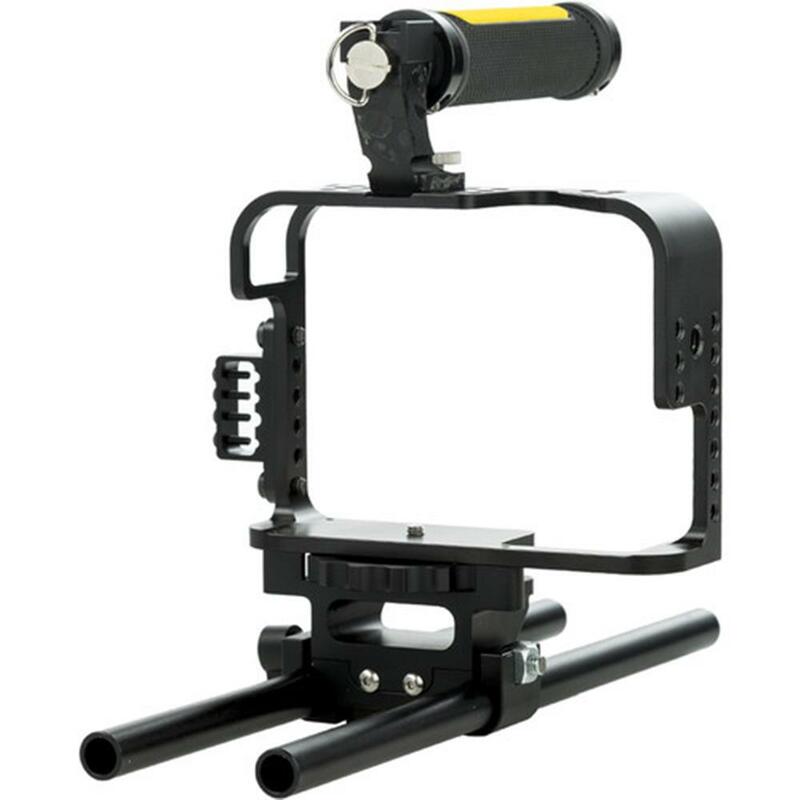 Quickly mount and dismount your camera without using tools. 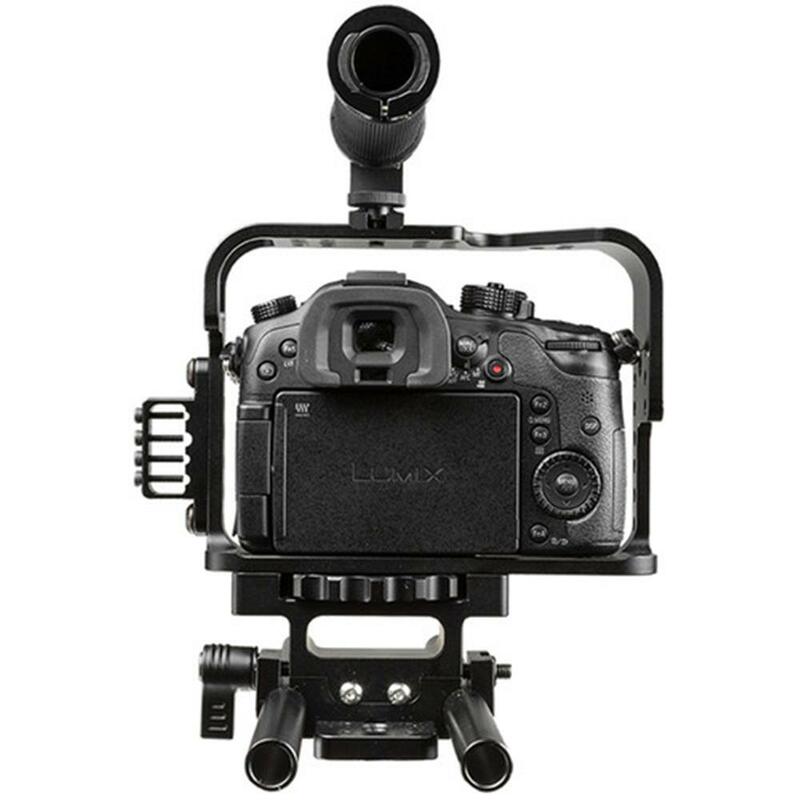 The built-in 1/4?-20 thread thumbwheel enables smooth and efficient transitions between camera setups. Lock your audio and HDMI cables into place with the attached cable lock system. Shoot with ease of mind knowing cables won?t come unplugged. With a reversible top handle, you can balance your grip support to your specific needs. 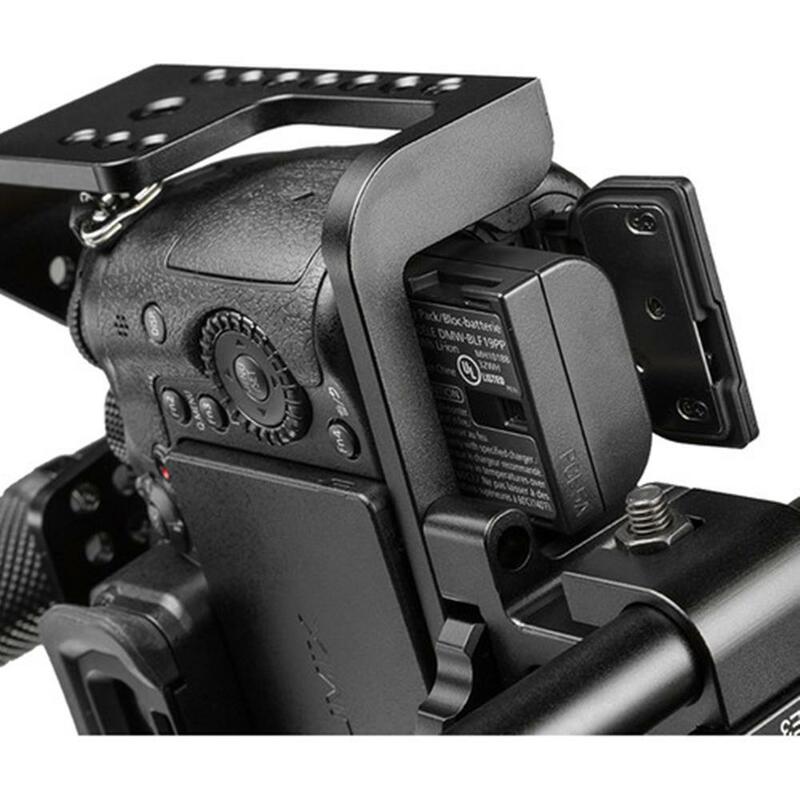 A cold shoe mount located on the front of the handle allows for mounting a microphone or small light. 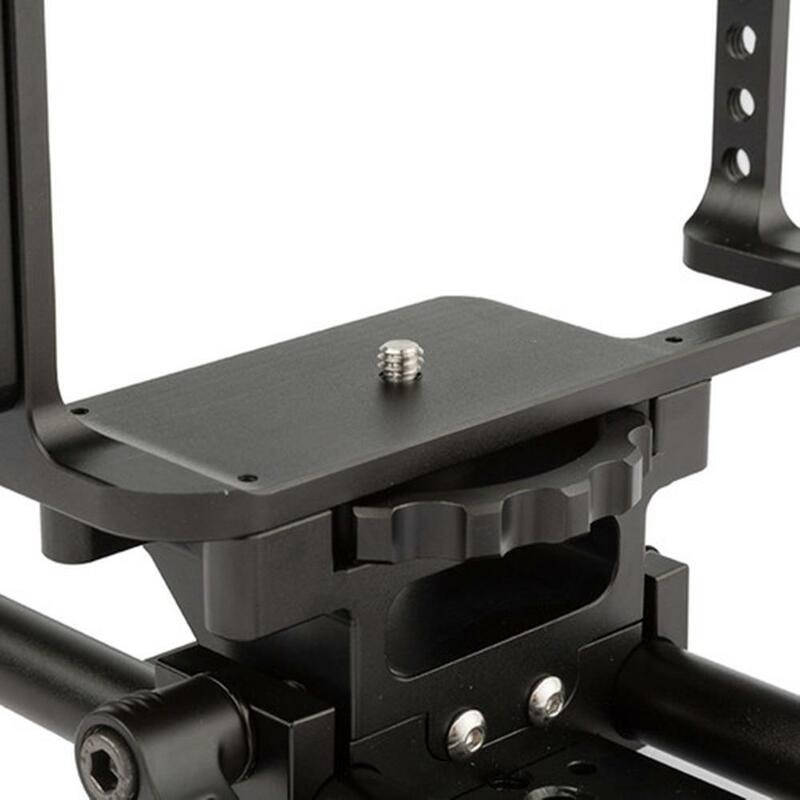 The unique baseplate is designed to clamp/control two 15 mm rods with a single thumbscrew, making rod adjustments possible without having to reach around the rig. 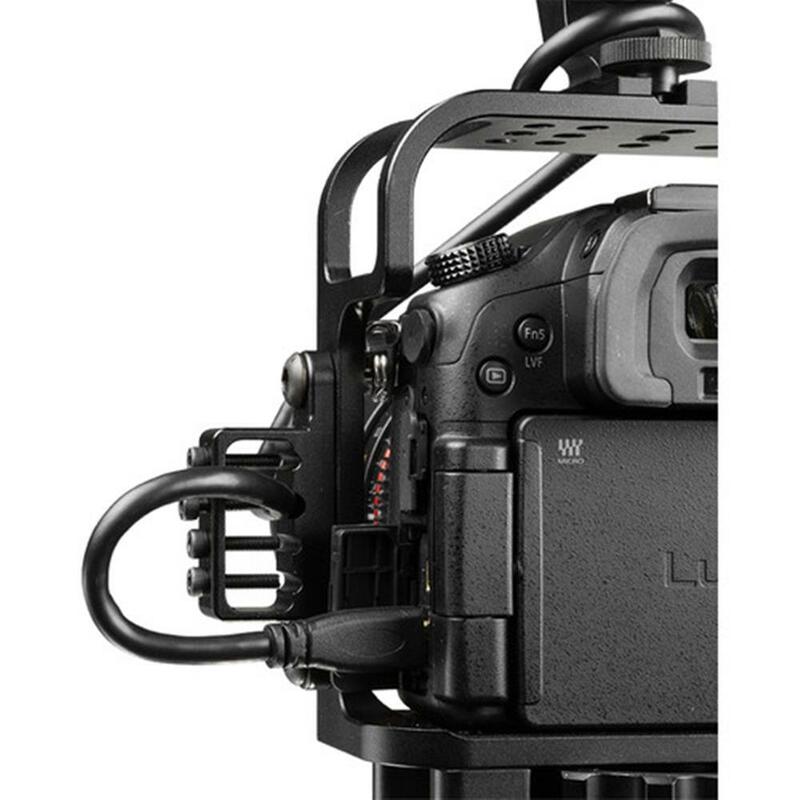 The cage is designed around the battery terminal so you can quickly switch batteries without having to take apart the entire rig.